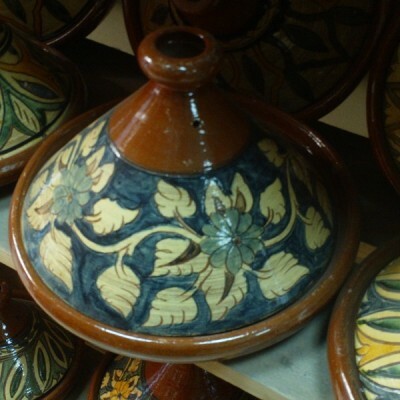 Moroccan Hand painted﻿ Enamel tagine of Marrakesh, Morocco. Can be use for cooking. Use this Ceramic Tagine to prepare Spicy Chicken Tagine or other Good spicy tajine recipes, and have a good time with a classic Moroccan Peppermint Tea at Home with your friends and family.